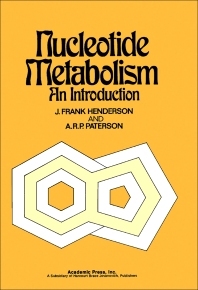 Nucleotide Metabolism: An Introduction is a textbook exclusively focusing on the study of the aspects of nucleotide metabolism. The book intends to present the chemistry and metabolism of nucleotides, one of the oldest subjects of biochemistry. The text is divided in two parts. Part I considers the general aspects of nucleotide metabolism such as the history of the discovery of nucleotides; functions of nucleotides in cells; and group-transfer reactions during nucleotide metabolism. Part II deals with the synthesis, formation, and conversion of purine ribonucleotides. Biochemists, pharmacologists, and researchers in the fields of medicine and pharmaceuticals will find the book invaluable.